Talk on The Queen and Prince Charles, comparing and contrasting, by Sally Bedell Smith, the best-selling author of seven biographies. Her latest, Prince Charles: The Passions and Paradoxes of an Improbable Life, was published by Random House in April 2017 and was an instant bestseller on the New York Times, Washington Post, and Wall Street Journal lists. 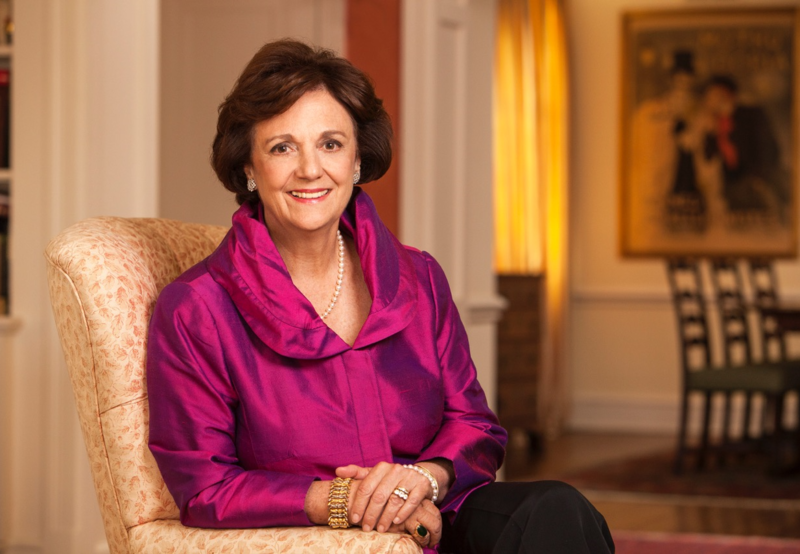 Her previous biographies were Elizabeth the Queen: The Life of a Modern Monarch (Random House 2012), which was also selected by J.P. Morgan for its “2012 Reading List,” ten books chosen for their “inspirational messages, thought-provoking content, and stunning detail.” In 2012 Ms. Smith was the consultant to playwright Peter Morgan on The Audience, his award-winning drama about Queen Elizabeth II starring Helen Mirren. Other books include For Love of Politics: Inside the Clinton White House (Random House, 2007), Grace and Power: The Private World of the Kennedy White House (Random House, 2004), Diana in Search of Herself: Portrait of a Troubled Princess (Times Books/Random House, 1999), Reflected Glory: The Life of Pamela Churchill Harriman (Simon & Schuster, 1996), and In All His Glory: The Life & Times of William S. Paley and the Birth of Modern Broadcasting (Simon & Schuster, 1990). Translations of her books have been published in more than a dozen countries. Sally was cultural news reporter for The New York Times and a contributing editor at Vanity Fair. Since 2017 she has been an on-the-air contributor for CNN, offering analysis and commentary on the British royal family. She is currently writing a dual biography of King George VI and Queen Elizabeth. Sally was awarded the Sigma Delta Chi Distinguished Service Award for magazine reporting in 1982 and received the 2012 Washington Irving Medal for Literary Excellence, an award presented by the Saint Nicholas Society of the City of New York, and Elizabeth the Queen won the 2012 Goodreads Choice Award for best book in history and biography, the only major book award decided by readers, with over 1 million votes cast. A mother of three, Sally lives in Washington, D.C. with her husband, Stephen Smith.